Sample our range or a cost effective way of having a stash of your favourite mixes. We know that many of you like to have some back-ups in the pantry for those times you don't have the energy, ingredients or inclination to start from scratch. Get a couple to keep you supplied with quick and easy baking options, or great for gifting! 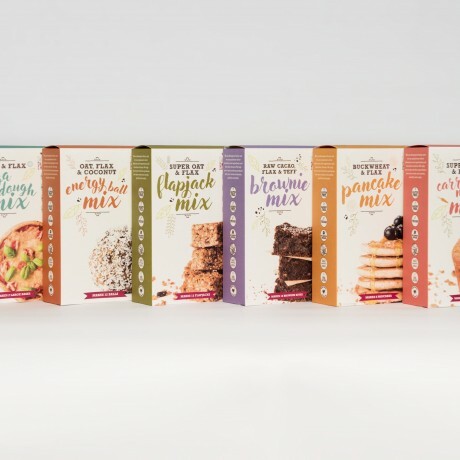 All our products are gluten-free, dairy-free, have no added sugar and are vegan friendly. Great Taste Awards - 1 star and 2 stars. 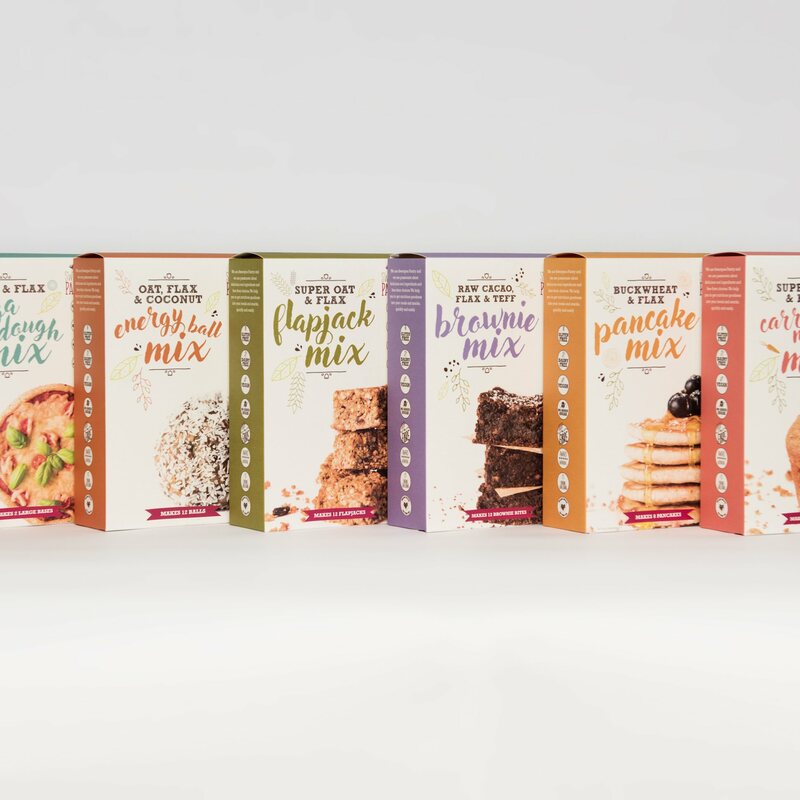 Sweetpea Pantry baking mixes are made from all natural ingredients including quinoa, flaxseed, chia, raw cacao, barley, rye, buckwheat and oats. Full of goodness with super food nutrition. The Pancake Mix contains: brown rice flour, tapioca flour, buckwheat flour, flaxseed, baking powder, quinoa flour and teff flour. The Super Oat Flapjack Mix contains: Wholegrain rolled oats, stoneground wholemeal plain flour, desiccated coconut, sultanas, unrefined demerara sugar, quinoa flakes and raising agent: sodium bicarbonate. The Carrot Muffin Mix contains: wholewheat flour, coconut, oats, flaxseed, unrefined muscavado sugar, cinnamon, ginger, sultanas, dehydrated carrot, raising agent: baking powder. Totally scrummy and a BIG hit with my kids! Totally scrummy and a BIG hit with my kids! Will be a staple in my pantry.